At the premises of the seven suspects arrested for planning a major terrorist attack in Holland, considerable quantities of raw material for bombs were found as well as 100 kilo of fertilizer, suitable for making a car bomb. These items were confiscated during searches of the houses of the suspects. Fertilizer is a popular product with terrorists who make bombs themselves. The product consists partly of ammonium nitrate, which can easily be made explosive by mixing it with other substances. For example, the Norwegian mass murderer Anders Breivik used a car bomb with artificial fertilizer which he detonated in the Oslo government quarter back in 2011. As a result, eight people died. Related coverage: <a href="http://thegoldwater.com/news/38161-Holland-Major-Terrorist-Attack-Foiled-7-Arrested-Video"> Holland - “Major Terrorist Attack” Foiled - 7 Arrested (Video)</a>. 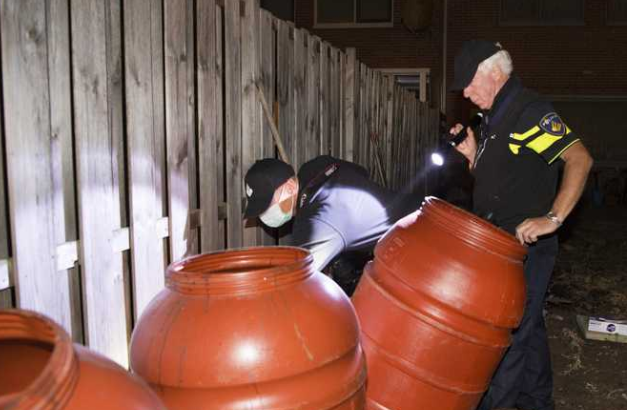 The men, all aged between 21 and 34, were arrested in Arnhem and Weert. Three suspects come from Arnhem, two from Rotterdam, one from Vlaardingen and one from Huissen. Given the circumstances and the public outcry, the seven Muslim men will be held in custody for longer than normally allowed. The Public Prosecution Service will ask the examining magistrate to keep the men in custody for at least another fourteen days, so evidence can be collected. The leader of the group is a 34-year-old Iraqi national named Hardi N.
He was convicted to a 2-year jail term in 2017 but had not started his prison term yet. The public outcry for arresting all extremists that have tried to travel to Syria or have sympathy for ISIS has only become louder in the Netherlands since the arrests. Furthermore, the fact that the men were known to the justice department is not going down well for the liberal government of Prime Minister Mr Mark Rutte. Throw their asses off a five story building alive like the Muslim’s do to Queers! White revolution, is the only solution.